My Gift to God. 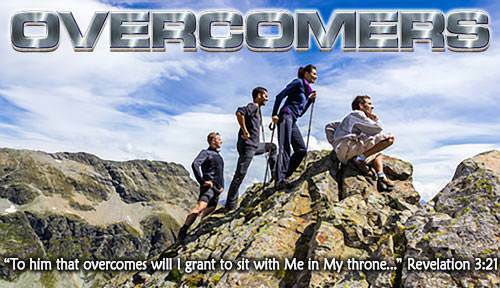 Lesson 8 Questions in "Overcomers"
a) the gift of myself. b) the gift of my money. a) giving my life to the Lord, to do His will instead of my own. b) coming up front in church and promising God that I will be a better person. a) because I belong to Him. b) because I want to be like other Christians whom I admire. 4. What was the price the Lord Jesus paid for me? a) He gave an angel to die for me. b) He shed His own precious blood for me. a) I have the use of something. b) something belongs to me. a) something belongs to me. b) I have the use of something. a) He must have ownership of my life. b) He must have ownership and possession of my life. a) to give the Lord Jesus the possession of my life. b) to study the Bible, pray, tell others about Christ, and do Christian work. 9. What makes me want to give myself to the Lord Jesus? a) The love of Christ makes me want to do this. b) I want to be successful. a) Do I really belong to the Lord Jesus? b) Have I given my life to the Lord Jesus?